PASADENA, Calif. -- NASA's Mars Odyssey spacecraft has successfully adjusted its orbital location to be in a better position to provide prompt confirmation of the August landing of the Curiosity rover. NASA's Mars Science Laboratory spacecraft carrying Curiosity can send limited information directly to Earth as it enters Mars' atmosphere. Before the landing, Earth will set below the Martian horizon from the descending spacecraft's perspective, ending that direct route of communication. Odyssey will help to speed up the indirect communication process. NASA reported during a July 16 news conference that Odyssey, which originally was planned to provide a near-real-time communication link with Curiosity, had entered safe mode July 11. 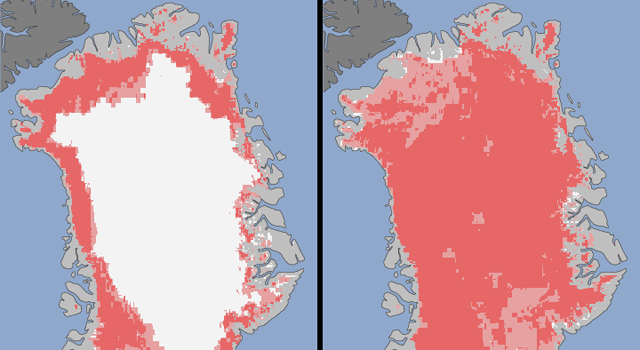 This situation would have affected communication operations, but not the rover's landing. Without a repositioning maneuver, Odyssey would have arrived over the landing area about two minutes after Curiosity landed. A spacecraft thruster burn Tuesday, July 24, lasting about six seconds has nudged Odyssey about six minutes ahead in its orbit. Odyssey is now operating normally, and confirmation of Curiosity's landing is expected to reach Earth at about 10:31 p.m. PDT on Aug. 5 (early Aug. 6, EDT and Universal Time), as originally planned. "Information we are receiving indicates the maneuver has completed as planned," said Mars Odyssey Project Manager Gaylon McSmith of NASA's Jet Propulsion Laboratory, Pasadena, Calif. "Odyssey has been working at Mars longer than any other spacecraft, so it is appropriate that it has a special role in supporting the newest arrival." Two other Mars orbiters, NASA's Mars Reconnaissance Orbiter and the European Space Agency's Mars Express, also will be in position to receive radio transmissions from the Mars Science Laboratory during its descent. However, they will be recording information for later playback, not relaying it immediately, as only Odyssey can. Odyssey arrived at Mars in 2001. Besides conducting its own scientific observations, it has served as a communication relay for NASA's Spirit and Opportunity Mars rovers and the Phoenix lander on the Martian surface. NASA plans to use Odyssey and the Mars Reconnaissance Orbiter as communication relays for Curiosity during that rover's two-year prime mission on Mars. Odyssey and the Mars Science Laboratory, with its Curiosity rover, are managed for NASA's Science Mission Directorate in Washington by JPL, a division of the California Institute of Technology in Pasadena. Curiosity was built at JPL. Lockheed Martin Space Systems in Denver built Odyssey. JPL and Lockheed Martin collaborate on operating Odyssey. For more about the Mars Odyssey mission, visit http://mars.jpl.nasa.gov/odyssey. v For information about the Curiosity landing, visit http://www.nasa.gov/mars and http://mars.jpl.nasa.gov/msl. 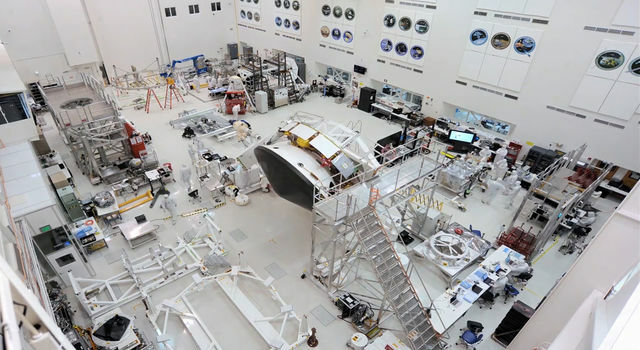 Jet Propulsion Laboratory, Pasadena, Calif.
As the July 2020 launch date inches closer, the next spacecraft headed to the Red Planet is assembled for more testing. 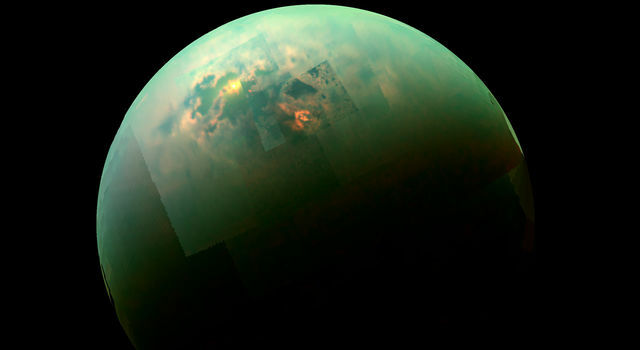 During the spacecraft's last look at Titan, scientists gathered data that reveal what fills the moon's northern lakes - and how deep they are. The five years of data from NASA's NEOWISE mission have significantly advanced knowledge of asteroids and comets in the solar system, as well as of stars and galaxies beyond.